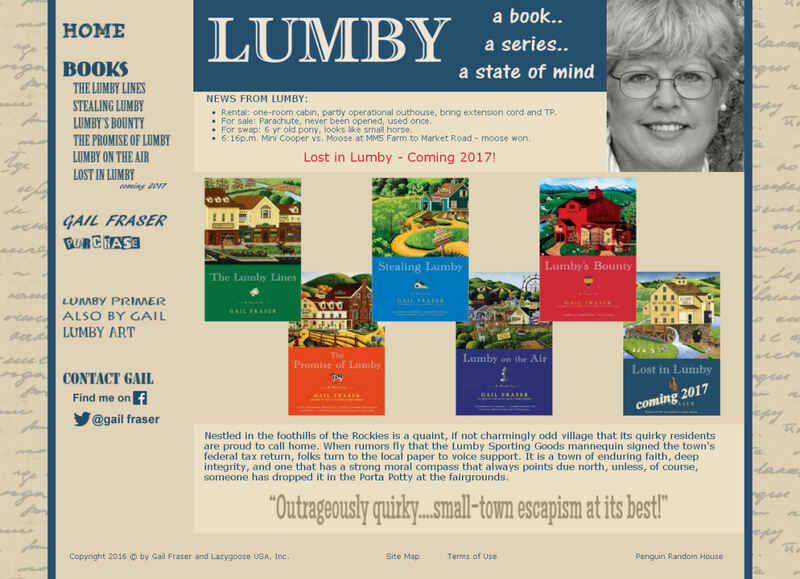 Lumby Books is home to the Lumby series of novels. 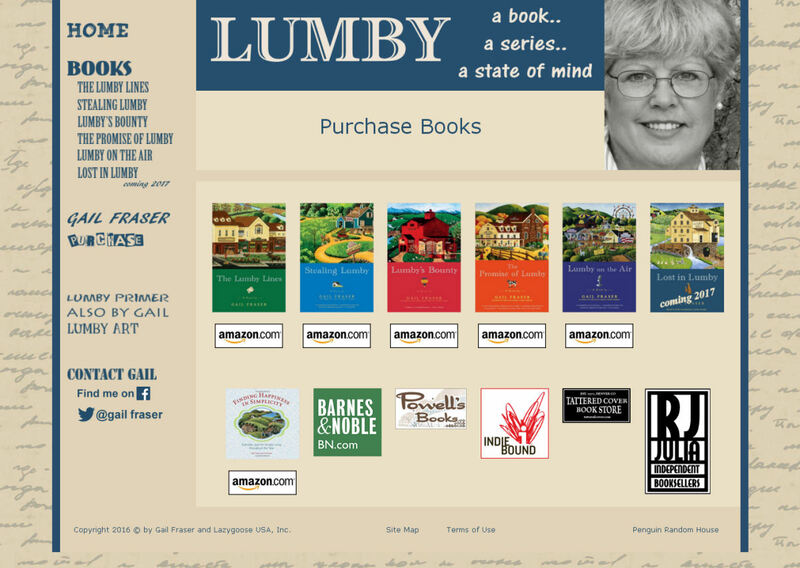 Great home page displays a carousel of the books in the series, with mouse over expanding each one. Inside, pages offer details on each book. Newsletters are archived and viewable. A contact page with captcha for spam prevention provides a professional touch. Book carousel presents covers and quick navigation to details on individual books. 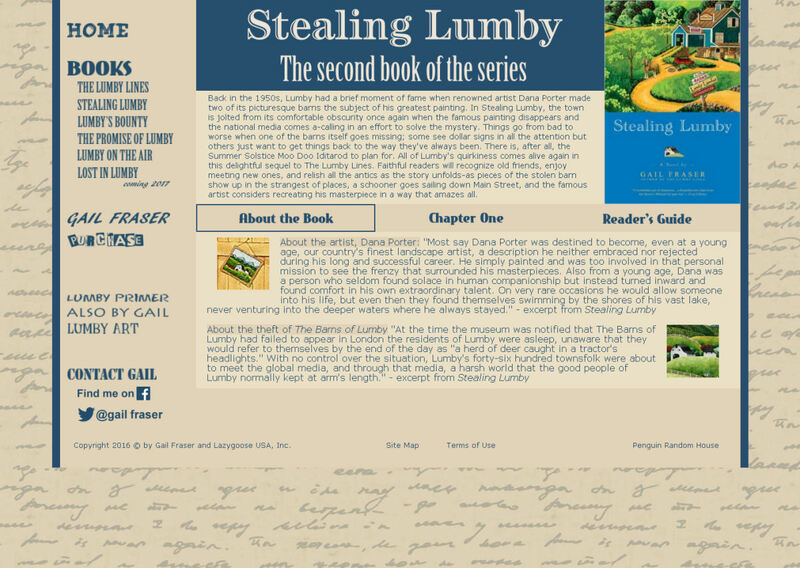 'News from Lumby' at the top of the page changes periodically. Flyout menus for some nav bar items. Plain text files used for most data, including comments, reviews, book information, etc. Cascading stylesheets for page formatting. Reading guides offered in PDF and Word formats. jQuery used for browser-independent interaction, including book carousel and book page content switching. Detailed pages for each book provide chapter excerpts and reading guides. Newsletter page with all back issues. FAQ and Q&A pages answer many common user questions. Flyout menus provide navigation across all pages. Reviews page offers comments from a variety of sources for each novel. Get to know the author from her biography. Contact page with spam-prevention captcha code provides professional touch.